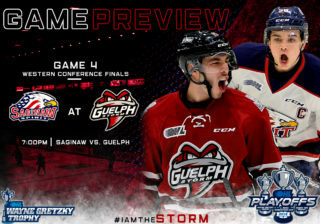 The Guelph Storm have partnered with the Canadian Mental Health Association, Waterloo Wellington for a mental health awareness game on Friday February 8, 2019 when the Guelph Storm take on the Sarnia Sting at the Sleeman Centre. Puck drop is at 7:30pm. 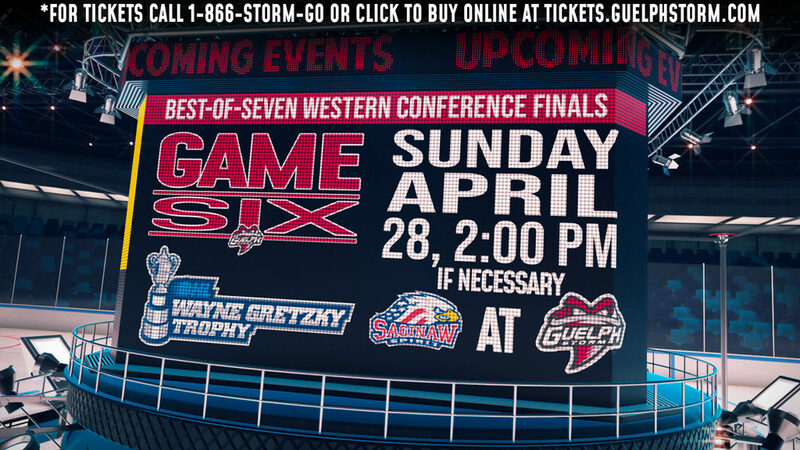 The Guelph Storm are heading into this weekends games in 4th place in the Western Conference, while the Sarnia Sting are in 7th place in the Western Conference. 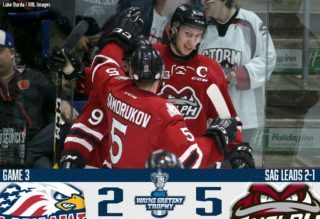 The Guelph Storm have points in 11 of their last 12 games with a record of 8-1-3-0 and have outscored their opponents 64 to 38. 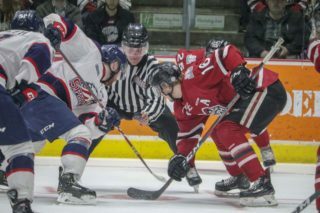 Sean Durzi has been lights out for the Storm since coming over from Owen Sound in a trade in January. 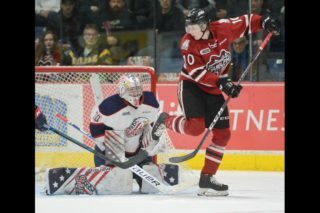 Sean had 3 goals and 14 assists in 18 games with Owen Sound, but since the trade, Sean has 5 goals and 10 assists in 10 games played brining his season total to 8 goals and 14 assists for 32 points in 28 games played. 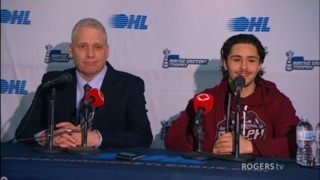 Rookie winger Jacob Perreault has been incredible in his first OHL season and leads all rookies in goals scored with 25 goals through 47 games. Jacob was drafted in the 1st round of the 2018 OHL draft and has 45 points thus far in his rookie season. 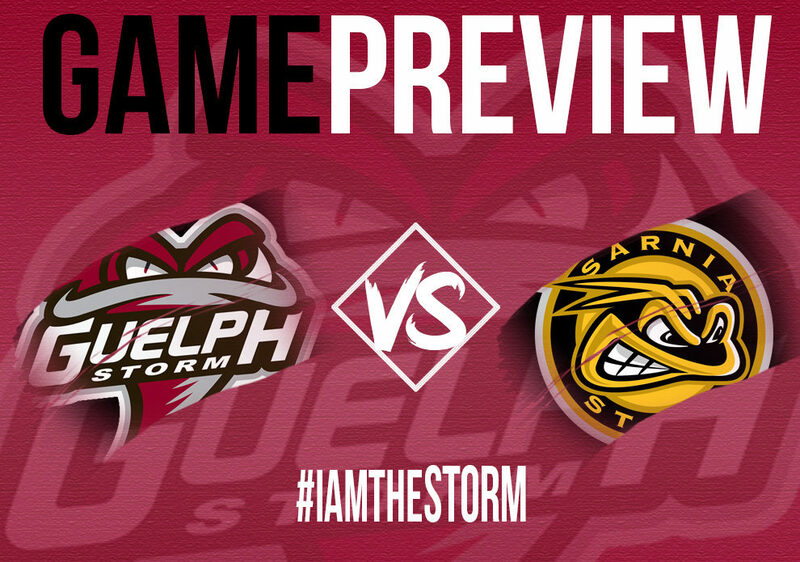 The Storm head to Sarnia for a Saturday evening game against the Sting. Guelph will then conclude their 3 in 3 weekend with a home game against the Kingston Frontenacs on Sunday February 10th at 2:00pm at the Sleeman Centre.